The process of divorce can be problematic for any couple, but it is particularly difficult for couples whose psychological well-being is threatened by the ending of the relationship. Many high-conflict couples find that when they have exhausted options in making their relationship work, their core anxieties are exacerbated by a divorce process that generally approaches separation in a zero-sum manner. This paper is describes who these couples are and explores why divorce is so threatening to their psychologies. An additional purpose is to propose an approach that facilitates an amicable separation. Such an approach involves a collaborative team of four or five professionals, along with divorce therapy to help the couple deal more directly with their vulnerabilities and support the family system. Lois and Clark had a wedding that was the envy of their friends. Clark, a successful businessman and CEO of a company that he developed during a previous marriage, was hopeful that his marriage to Lois would be more of a “real marriage” than his first marriage, since his first wife was a busy doctor in a large medical practice. Lois, who was 15 years younger than he, was interested in more of a traditional role. Both Lois and Clark wanted a big family, so their six children came quickly. They moved to the suburbs and built their “dream” home. Both would have said they were happy, in spite of Lois’ growing frustration with Clark’s long hours at work. Increasingly, she felt a need for validation for all she was giving and became determined to work toward a career of her own. As the children’s needs became her focus, Clark complained about her increasing spending, which, according to Lois, helped her feel better about her life. Their escalating arguments fostered a chaotic family environment, where several of the children began to exhibit behavioral problems. Ironically, dealing with their children’s problems was the one time they addressed issues in a positive and united way. It was just a matter of time before Lois found someone who met her needs. Clark found out about it, and the affair was one more issue to argue about. Lois threatened divorce, and marital therapy was initiated, but the family endured this situation for years. Ending the marriage was something neither wanted, since they both believed such an outcome would be disastrous for the children. Clark found himself in the position of overlooking behaviors that he found unacceptable in order to sustain the marriage. Eventually, however, Lois became convinced that her love relationship was worth leaving her marriage for. The fact that she had six children did not seem to discourage her lover’s ardor. As a matter of fact, he wanted a large family, but was unable to father children, so a ready-made family was an added incentive for his relationship with Lois. Lois had friends who had advised her to look into a collaborative divorce. She contacted a collaboratively-trained lawyer, and when Clark found his lawyer, a team was quickly established, adding a child specialist, a single divorce coach for the couple, and a financial specialist. From the beginning, the five-person team identified challenges related to the couple’s fears of conflict and abandonment, as well as Clark’s need for appreciation and Lois’ need for recognition of her unique contribution to the marriage. The collaborative process started out with a battle for control, as Clark told Lois he had talked with a friend who suggested that Lois’ behavior sounded like the behavior of a “narcissistic personality disorder.” Lois blamed Clark’s attorney for “not reining his client in,” and threatened to litigate. Eventually the couple decided to hire another collaborative lawyer for Clark, and Lois would participate in the decision about who this lawyer would be. This conclusion left the team confused about how the couple came to this decision, but it was just the beginning of the team’s awareness that there were forces operating for this couple that were not readily apparent and often in stark contrast to statements and goals the couple claimed to embrace. Both expressed fear of retaliation by the other, while at the same time continuing to provoke each other blatantly. The team repeatedly navigated the couple’s attempts to get various team members to side with one of them against the other. The couple resisted face to face conversations and refused to state their needs directly. As a result, they became angry with various team members for not representing those needs to the attorneys. Why do some couples engage in behaviors that make the process of divorce almost impossible and then proceed to blame the attorneys when things do not go smoothly? For even the healthiest of couples, a divorce can undermine elements of trust that have been established over a long history together. For couples who have a history of destructive conflict, the decision to divorce may be the sign a couple is ready to end their endless conflict and take responsibility for their individual roles in the conflict. However, their patterns of interaction will require more intervention than a litigation or even a collaborative process will give them. Research suggests that high-conflict couples are increasing in number and are more likely to make the necessary changes of individuation if they have undergone or are undergoing psychotherapy to assist them in making the adjustment to abandonment anxieties (divorce therapy). In other words, the couple needs a divorce from each other and also from a relationship that is based on fear. When observed carefully, such a couple is carrying out a “dance” that is ongoing and circular, thereby perpetuating their conflict. The “borderline” partner tends to be dominated primarily by abandonment fears, while the “narcissistic” partner by a fear of a loss of specialness or appreciation. Together the couple forms a bond that is the perfect counterpart for the other. The “dance” goes something like this: The “borderline” reaches for the other, attempting to bond. If the bond is not responded to or threatened, the “borderline” will blame or attack as a way of “getting even” or “teaching the other a lesson.” This prompts the “narcissist” partner to withdraw, fearing a loss of the sense of “specialness.” This withdrawal brings about the borderline’s fears of abandonment and being alone, which creates more anxiety and leads to more attacks. The “narcissist” is thus continually faced with his/her limitations, challenging his/her image of perfection, so it is natural to turn to the external world for validation, confirmation, approval. This further withdrawal creates a profound anxiety in the “borderline” individual, who fantasizes that if he/she were a more perfect partner, the spouse would be willing to meet his/her needs. At this point, the “borderline” partner attempts to win the other back at any cost, subjugating the self and creating a persona that is not real by playing the role of one who mirrors the partner perfectly. In light of this gratification and the promise of more appreciation and mirroring, the “narcissist” returns. But these promises are doomed to fail. The “borderline” cannot continue this mirroring, because of a lack of impulse control, a tendency to criticize, and a profound sense of emptiness, created to some extent by pretending to be someone he/she is not. Even when separated, high-conflict couples can maintain a strong bond without resolving core issues. To a significant degree, the inability to successfully resolve conflict is due to the maintenance of a dependent, parasitic relationship rather than healthy interdependent ties. The problematic behaviors are not conscious or planned. Rather, they are a replay of longings and wishes each felt in early childhood. Each selected a partner who would frustrate his/her most important needs. Time and time again, they repeat the same painful experience with each other, hoping it will result in a different, happier ending. But hope does not resolve the conflict. New conflict resolution and conflict-moderating skills need to be learned. In particular, the couple needs to strengthen their capacity to communicate and negotiate, so that they can do interest-based, as opposed to positional negotiating. At the deepest level, these couples are not looking for resolution. They are used to living in pain and will often reject advice, distort the court’s recommendations, manipulate the facts and resort to delusions and expectations, rather than face up to their own responsibilities and accept their own shortcomings. This circular, never-ending pattern is a signal that deeper psycho-pathologies are involved and more intensive long-term therapy may be required. There are deeply-rooted resistances with these couples that make it very difficult for them to cope with “real” aspects of their relationship and the “real world.” They have a kind of “magical thinking” that if they use their infantile behaviors and express their rage and hurt, they will resolve their personal issues. Their distortions and inability to think clearly and rationally disable them from following the court’s suggestions. They would rather, for example, prove the other wrong, even at the expense of depriving their children of child support or visitation with the other parent. These couples are generally doing the best they can. They want to do better, but they struggle with the motivation to change their approach to intimate relationships. They need help in the form of clarity and compassion, even though their continual cyclical behaviors tend to keep these needs from being met. In order for these patterns to change, these couples need to separate themselves from their infantile interactions and recognize their personality deficits. The “borderline” needs to develop a sense of self and give up the idea the narcissistic partner is the only one who can validate him/her. The “narcissistic” partner needs to realize he/she is not as entitled as was imagined and needs to learn how to evaluate his/her own accomplishments and rely on his/her own thinking without needing constant validation/confirmation from others. Family systems are powerful sources of support. Because family members act in predictable ways, no one has to guess where to go for what each wants. They can focus on tasks and respond automatically without a lot of thinking. Those who are “successful” in the family (as defined by the family) tend to be strongly supported. Family systems seek stability. Family members enforce codes of conduct, values and the roles individuals are expected to play. The more dysfunctional the family, the more rigid the roles are to keep the family stable. The more extreme the behaviors, the more secrets the family needs to keep, so that the family system is not thrown off balance. Family systems are resistant to change. When there is a threat to the family, everyone knows how to behave and what their roles are. Family members are not allowed to change their behavior very much. Regardless of internal squabbles, families tend to be strong in working together to ward off danger, maintaining the status quo at all costs. Like a ship trying to balance itself in a storm, the focus is always on stability. These attributes were evident in the case study described above. Both Clark and Lois had strong support from their families for their “position” in the divorce. The families were in many ways “behind the scenes” negotiators, reinforcing family norms and fears and supporting Lois and Clark in ways that kept the family “ships” stable. Changing dysfunctional family patterns requires intensive treatment with a therapist who can help illuminate dysfunctional behaviors and provide some of the functions that these clients did not receive from their parents. They need to be in an environment where they can see their limitations, express their hurt feelings and face up to their fears. They need to learn to question some of the values and beliefs they learned from their family system and confront each other with kindness. High-conflict couples have a deep wish to join an all-embracing parent who is capable of empathy, joy, containment, and mirroring. They have a collective wish that someone will finally see, hear, and feel their pain and save them from the calamity of being alone. Game theory can be helpful in understanding the problems of high conflict couples. In game theory, zero-sum and non-zero-sum refer to two different ways of conceptualizing conflict. In zero-sum, the gains of one party come at the expense of the other. This means that when one party increases their financial or symbolic benefits, the other party will necessarily decrease their resources by a similar amount. Thus, when assets are divided, each member of the couple may fear he or she will not have enough, and they often assume that their partner is “hiding” resources. While there are forensic strategies for making the hiding of resources difficult, they are not foolproof, and lawyers may find themselves pulled into the irrational arguments of the high conflict couple. Non-zero-sum games, by contrast, are conflict situations where both parties share in the gains (and potential losses) of the negotiation. Conflicts that involve an increase in resources for the parties are defined as positive-sum disputes. In such a conflict, no one wins at someone else’s expense. Although the resources need not be divided equally, a positive sum approach to dispute resolution is desirable because each party can realize absolute gains, regardless of how these resources are divided. In dispute resolution, the ideal is to adopt such an approach since the parties are likely to benefit the most not only for each other but for the other members of the family as well. Theoretically, non-zero sum conflicts can also involve shared losses when a dispute involves decreasing benefits. Such disputes are called negative-sum because resources are shrinking, but they are made tolerable by the realization that both parties are suffering commensurate losses. A divorce will necessarily result in losses for both parties, but if the parties approach the dispute in a non-zero sum process, the dispute will inevitably increase distrust and result in bitter and intractable negotiations, since the gains of one party can only come at the expense of the other. As is true for many couples, the financial issues moved Lois and Clark to a zero-sum game. They each perceived their financial situation differently. Clark had assets he insisted were premarital, and Valerie insisted that because of the length of their marriage, and because Clark had consistently told her those were “our” assets, she was entitled to share in them. An additional financial problem was that the economy had negatively affected the market and Clark’s business, and both were spending, based on previous expectations of income. Both wanted to maintain the same lifestyle as they moved to separate homes, and neither could. This is a negative-sum situation. How can couples who are approaching their conflict as a zero-sum dispute shift their orientation to a positive sum process—one that is likely to maximize benefits for all concerned and facilitate coming to an amicable accord? Professional that work with high conflict couples have identified a number of important elements that are crucial in shifting to a positive-sum process. First, the parties to the conflict must identify what is important. This means that they need to prioritize their own wants and clarify their expectations. And they must do so keeping in mind what each other is likely to value. Discussing personal priorities is difficult for these couples. A discussion of priorities can only occur in an environment of trust. In such an environment they can learn to tolerate and even take pleasure in each other’s success. Second, the parties must also clarify how they conceive of the common good—that is, the family’s shared interests and general welfare. One of the important tasks in successful conflict resolution is to help the parties understand that defining individual and common goals is essential. If the parties cannot identify the shared interests and common goals, there is little prospect of shifting from a zero-sum approach to a positive-sum process. A positive-sum process necessarily presupposes a concern for the common good. A win-win negotiation is possible only when the parties are able to balance and reconcile personal and communal wants. Third, the parties must seek to re-conceptualize the conflict. Such redefinition is, of course, exceptionally difficult since the parties have developed views and values that have impaired the development of common interests and have further established harmful patterns that impede transparent communication and successful negotiation. One way that conflict can be re-conceived is by subdividing the conflict into smaller, more manageable parts—a process that the late Roger Fisher called fractionalizing the conflict. The goal of such redefinition is to help overcome the negotiation paralysis common in difficult and intractable disputes by facilitating agreement on partial dimensions of the conflict. Finally, the parties can explore alternative approaches in communication and negotiation. Most high-conflict couples have developed patterns of interaction that impair flexibility, listening and tolerance. Indeed, disputes are generally defined in a negative, even punitive manner. The challenge in shifting from a zero-sum to a positive-sum process is for couples to develop a more benevolent, compassionate orientation that facilitates discussion, transparency, and flexibility. Thus, one of the important tasks of professionals is to assist couples in adopting a forward-looking or “carrot” approach to negotiation and to avoid the backward-looking, punitive approach that has characterized most of their disputes. The couple presented a picture of inflexibility, entitlement, and catastrophic thinking. In order to manage their expectations and avoid splintering and power struggles, the team took time when Lois and Clark wanted to rush, asking questions to get their interests clarified as they moved along the process. They developed routines for team communication when emergencies arose, while confronting issues directly with kindness and openness, including the fact that the clients were running out of money. They facilitated difficult conversations, including Lois’ new relationship. They contracted for a business evaluation to facilitate the couple’s financial agreements. They worked consistently to identify resources and enlarge the value of the marital estate, including encouraging Lois to take out a life insurance policy on Clark. When clients threatened to suspend communication, the team suspended judgment and continued to hold the clients responsible for the choices they made, while talking to each other about possible options. They brainstormed and helped clients create small successes in the midst of ongoing chaos. When Lois stated that she had met with a litigation lawyer, Lois’ attorney and the financial specialist met with Lois and her mother, who was a financial analyst, to openly discuss the potential for the success of litigation, the cost of trying, and the uncertainty of the outcome. At the same time, the coach and child specialist were active in helping the couple deal with ongoing behavior problems with the children. The team focus was on continual transparency, support, and a clear delineation of the interests and responsibilities of both partners. Ultimately, Clark agreed to share a portion of the premarital assets, a gesture which made the negotiation a positive sum game, and not surprisingly, resulted in a calming of the tensions with the children. Although the divorce process appears to be driven by legal requirements, divorce is not simply a legal process. Rather, it involves deep personal issues that reflect a rupture in a human relationships. While there are resources to be divided, viewing the process solely as a formal division of assets can result in problems for some couples and exacerbate chronic conflict for others. More importantly, children’s needs are often overshadowed by the emotional and irrational behavior of parents who dispute the distribution of marital assets and access to their children. The use of mental health professionals as expert witnesses in a diagnostic capacity has been one way to overcome the limitations of the zero-sum process by taking into account mental health concerns. The implication is that a judgment based upon the testimony of “experts” is likely to be more therapeutic than one made without such testimony, but this is not necessarily the case. Parents who have been diagnosed as “healthy” may be given more visitation time than parents who are seen as “sick.” A simple consideration of pathology does not take into account that a relationship to a parent can be “sick” but still stable and nurturing. Separation or loss of a parent can prevent children from accomplishing certain developmental tasks that will create even more insurmountable problems than the divorce itself. Another way that mental health professionals have participated in divorce proceedings is through collaboration with lawyers, helping clients to focus on their needs by attempting to shift from a zero-sum game to a positive-sum model. The goals are to mitigate harm for all family members and for each to benefit as needs are addressed. In the collaborative model, mental health professionals can meet directly with the couple and the children to assess the nature of the parental relationship and the likely impact of the divorce on the children. This involvement can foster the couple’s overall cooperation and further a parenting agreement that avoids the problems that are created when children’s needs are not addressed. The collaborative process is complicated with high-conflict couples like Lois and Clark. They have difficulty identifying their most important needs, i.e., Lois’ need for recognition of her contribution to the marriage, and Clark’s need to tell Lois his desires and expectations. They also needed help in avoiding destructive conflict patterns. Meeting face to face was a challenge because of the myriad ways they triggered fears and defensiveness in each other. This made interest-based negotiating more difficult. In spite of the fact that it was a breach of the collaborative agreement, Lois threatened litigation on a regular basis, a style of arguing that she had learned as a little girl. This, of course, threatens loss and failure, because if a litigation process is begun, the lawyers must withdraw from representation of those clients. On a number of occasions, the transparency required in the collaborative process brought information to light that caused one or the other to think both attorneys were colluding with the “other side.” On numerous occasions, the team reviewed the collaborative agreement with the couple, and they agreed that they wanted to continue in the collaborative process. Slowly and patiently, the team worked hard to help them both move beyond their patterns of blaming, demanding, and giving in with resentment, beyond simple compromise to solutions that worked for both of them. All team members understood the couple’s dynamic and were willing to synchronize their efforts around the psychologies of the clients. While there were times when it seemed that Lois and Clark would be unable to achieve an acceptable resolution through the collaborative process, their persistent efforts, guided by the collaborative team, eventually achieved an amicable accord. They were able to “test-drive” the parenting agreement and make adjustments to it as they were working through the divorce. Clark was able to learn to care for his children, while continuing to focus on his professional life. Lois was able to focus on future goals as she found new ways to solve problems and co-parent with Clark. Both developed greater cognitive understanding and empathy for the other’s different approach to problem-solving. When out-of-control emotions are a major problem, no amount of teaching effective communication or conflict-resolution techniques can help. With high-conflict couples, anger and resentment continually threaten the collaborative process. Divorce therapy can uncover the causes of the anger and resentment as the couple learns to express themselves in nonthreatening, honest exchanges. In the neutral environment of the therapist’s office, they can begin to understand how their unresolved feelings of resentment affects their thoughts, feelings and behaviors, making them better able to move from contention to negotiation. Since the therapy experience is a safe arena for expressing vulnerability, it can also facilitate the couple’s understanding of their grief and loss. While divorce therapists may use a variety of approaches, the therapy process requires concrete changes in thoughts, emotions, and behaviors. The psychotherapeutic models that are generally included in the treatment approach are behavior therapy, cognitive behavior therapy, or dialectical behavior therapy. These models teach couples how to manage out-of-control emotions. They also teach mindfulness and distress tolerance, tools that are useful when strong emotion threatens to overwhelm logic. Therapy will generally include individual sessions, where clients can explore what brought them into the marriage and learn what their role is in “getting beyond the blame game.” In conjoint sessions, where it is obvious that each perceives situations as completely different from the other, they will learn to take responsibility for their own actions and to let go of attempts to manipulate the other. With these couples, intensive therapy work is supportive to the requirements of the collaborative process. Indeed, it helps the professionals to shift the focus from power competition to successful resolution of systemic conflict. Working with high-conflict couples is helped considerably with the support of a collaborative team. Because their needy and demanding behaviors (verbal, legal and violent attacks on each other and others) create barriers to moving through the divorce process, collaborative professionals can support each other and problem-solve together. However, the team can also aggravate the couple’s conflict dynamic, and the potential for derailing the collaborative process is high. The tendency of such individuals to be constantly overwhelmed by their own internal fears and dysfunctional patterns of thought and action, as well as their psychological inability to understand the consequences of many of their actions makes them excellent candidates for divorce therapy. Professionals who are trying to help them get through a divorce process will need to find ways to continually confront them on their self-destructive behaviors, while at the same time creating an atmosphere of caring and support. Lawyers who recognize these dynamics in their clients, whether they are litigating or working on a collaborative team, can help these cases proceed in a smoother manner if they advise their clients to consider “divorce therapy” as they are proceeding through the divorce process. In addition to the advantage that psychotherapy is covered by most insurance policies, professionals will find that less of their energies will be drained by these couples’ immature and demanding behaviors. Maybe most importantly, attention can be given to the divorcing couple’s needs to learn how to carefully and lovingly detach themselves from a relationship that has been based on fear and develop skills for a better future. 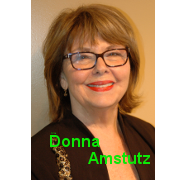 Donna Amstutz, Ph.D. is a licensed clinical psychologist in private practice in Wheaton, Illinois. She is a member of the American Psychological Association, a member of the Collaborative Practice Professionals of Illinois and the International Association of Collaborative Professionals. She is a graduate of the Family Institute of Chicago (Northwestern University), and her professional background includes extensive experience with divorcing families and consultation to businesses on team-building and conflict resolution. As an outgrowth of her interest in helping families deal with impasses, she has taught workshops and seminars on forgiveness and conflict resolution. Her interest-based approach with couples has led her to a specialty in dealing with high conflict couples and helping divorcing parents develop parenting plans. She is convinced that the interest-based, collaborative approach is superior to other rights-based approaches in helping all family members deal with the loss and trauma of divorce. She can be reached through her profile here. Beck, A. and A. Freeman (1990) Cognitive Therapy of Personality Disorders. New York, N.Y.: The Guilford Press. Binmore, K. (2007). Playing for Real: a Text on Game Theory. New York: Oxford University Press. Dutton, D. (2007). The Abusive Personality: Violence and Control in Intimate Relationships. New York: Guilford Press. Fisher, R. and W. L. Ury (1991). Getting to Yes. New York, New York: Penguin Books. Frazzetti, A. E. (2006). The High Conflict Couple: A Dialectical Behavior Therapy Guide. Oakland, CA: New Harbinger Publication, 2006. Gaulier, B., J. Margerum, J. Price and J. Wendell. (2007). Defusing the High-Conflict Divorce: A Treatment Guide for Working with Angry Couples. Atascodero, CA: Impact Publishers. Giesen-Bloo, J., R. Van Dyke, P. Spinhoven, et. al. (2006). Outpatient Psyhotherapy for Borderline Personality Disorder: Randomized Trial of Schema-focused Therapy vs. Transference-focused Psychotherapy. Archives of General Psychiatry, 63:649-658. Gil, E. (1996). Systematic Treatment of Families Who Abuse. San Francisco: Jossey-Bass. Grant, B.F., D.S. Hasin, R.S. Stinson, D.A. Dawson, S.P. Chou, W.J. Ruan, et. al. (2004). Prevalence, Correlates and Disability of Personality Disorders in the United States. Journal of Clinical Psychiatry, 65:7. Kohut, H. (1971). The Analysis of the Self. New York: International Universities. Lachkar, J. (2003). The Narcissistic/Borderline Couple: New Approaches to Marital Therapy. Bristol, PA: Brunner Mazel. Lachkar, J. (2007). The V-spot: Healing the Vulnerable Spot From Emotional Abuse. Northvale, N.J.: Jason Aronson. Lachkar, J. (2008). How to Talk to a Narcissist. New York: Taylor and Francis. Lachkar, J. (2010). How to Talk to a Borderline. New York: Taylor and Francis. Lawson, C. (2002). Understanding the Borderline Mother: Helping Her Children Transcend the Intense, Unpredictable and Volatile Relationship. Northvale, N.J.: Jason Aronson. Linehan, M.M. (1993). Skills Training Manual for Treatment of Borderline Personality Disorder. New York: Guilford Press. Schreier, L. (2002). Emotional Intelligence and Mediation Training. Conflict Resolution Quarterly, 20:99-119. Solomon, M. F. (1985). Treatment of Narcissistic and Borderline Disorders in Marital Therapy: Suggestions Toward an Enhanced Therapeutic Approach. Clinical Social Work, 13:141-156. Vaknin, S. (2013). Self-love: Narcissism Revisited. Prague: Narcissus Publications. Young, J. (1994). Cognitive Therapy for Personality Disorders: A Schema-focused Approach. Sarasota, FL: Professional Resource Press.Wood, N.D., D.R. Crane, G.B. Schaalje, and D.D. Law (2005). What Works for Whom: A Meta-analytic Review of Marital and Couples Therapy in Reference to Marital Distress. The American Journal of Family Therapy, 33, 273-287.